Arrival at Denpasar; Ngurah Rai International Airport – The capital of one of the most exotic destinations in the world. Complete your immigration formalities & proceed to the arrival hall. Meet our local representative with a complete traditional welcome. Transfer to hotel. (Standard Check In time: 1400 hrs). Tanah Lot Temple is located on the coastal side of Beraban countryside, Kediri sub district and Tabanan Regency. It is situated about 30 Kms West of Denpasar town and about 11 Kms South of Tabanan town. The temple is built atop a rock & reachable by walk from the coastal tip. This temple is one of the most famous tourist destinations in Bali & the most photographed one as well. At some nooks of the coral reef around Tanah Lot Temple there are holy tame snakes in black and white color which according to the locals are a deity property and they act as guards of the temple from bad influence. Morning after breakfast, proceed for a full day excursion to the Kintamani Volcano. This trip will take you up close & personal with the essence of Bali. It is the most favorite tour of any first time visitor to Bali. Visit the Batubulan village (famous for traditional Batik and hand weavings), Mas village (famous for Wood carving) & then past the Celuk village (famous for silver and gold works). There after proceed to the one of the most historical & ancient Hindu temples in Bali. Continue your tour to The Mount & Lake Batur in Kintamani village for some stunning views of the beautiful locales in this region. Your tour ends in the famous coffee plantation. Here you can look in & taste many kind of coffees from Indonesia including Luwak coffee. An ideal Bali holiday is incomplete without Bali water sports at the famous Tanjung Benoa beach. This beach best known for its aquatic adventure is located in the Benoa peninsula far away from the hustle & bustle. North of Nusa Dua this beach offers a wide range of water sports. Please check with our representatives for all the water sports information. Many shacks & restaurants lined up along the beach make sure that your tummy is full & you enjoy the most. A great southern Bali trip in the evening introduces you to the heart of southern part of the island. The beautiful Uluwatu temple, built on the top of a cliff about 825 feet high facing the vast deep blue Indian Ocean also offers a wonderful view of the sunset. Join this tour for a comprehensive orientation of the main town on the island of Bali. 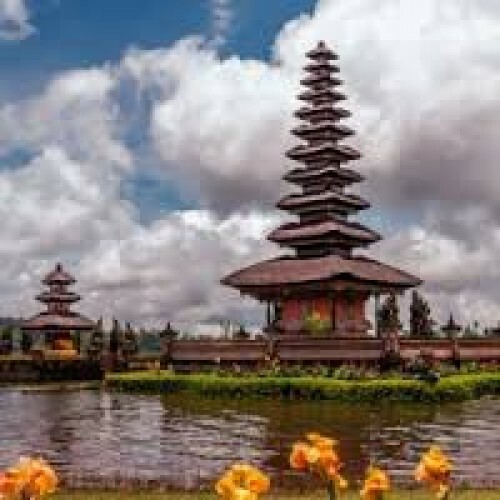 Denpasar is the capital of Bali, although an administrative district it still has various sites on offer for the tourists. You will pass the Niti Mandala Civic Centre, the Bajra Sandhi Monument & the Jagatnata temple. You also visit the center of silver jewelry where you can see more than two hundred people working in their own style and combining the pearl & sea shell with a unique style. Evening free for shopping. Proceed towards airport with beautiful memories of this scenic island. All entrance fees, guide fees and tips. Any increase in prices towards currency exchange, Visa, Fuel Tax, Surcharges, any other taxes shall be borne by passengers.